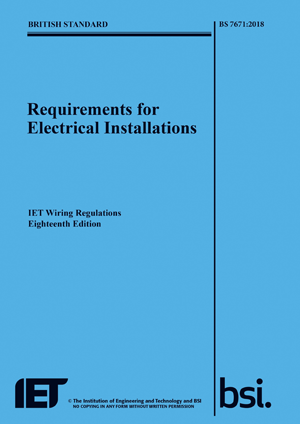 John Bradley, Chairman of the joint IET/BSI committee (responsible for the 18th Edition book’s technical content) shares his experience of understanding and applying the Wiring Regulations. I began my career in the electrical industry in 1965 as an apprentice electrician and, even at this early stage of my professional life, I’d heard of the Wiring Regulations and knew they were very important. For anyone trying to construct or maintain an electrical installation for safe operation, life would be a lot harder if the Wiring Regulations didn’t exist. The law alone wouldn’t be much help and the Regulations give practical ways to meet legal requirements and show compliance. As my career progressed, I saw that the Regulations not only help electricians to stick to legal requirements but they also introduce important safety improvements for electrical installations. One of the main improvements introduced during my career was disconnection times based on research into the effects of electric current on humans and livestock. Others were RCD additional protection for socket-outlets, cables concealed in walls and final circuits in bathrooms. I’ve also seen improvements to fire safety with the introduction of things like metal-cased consumer units, targeted use of protective devices and more detailed advice on sizing cables buried in thermal insulation. At first I worked with the 14th Edition, which was the last of the ‘old style’ of Wiring Regulations. The regulations in that edition were generally more prescriptive and simpler to apply, but they did not give me all the answers I was looking for. Some of the different types of protective device becoming available were not so well catered for by the requirements as they are now. And the content on isolation and switching was really too simple to be easily interpreted for more complex installations, in some cases. I then worked in consultancy for 21 years, designing and managing electrical installation projects, before joining NICEIC as an Inspecting Engineer, then the Principal Engineer. More recently, I’ve become a self-employed consulting engineer and UK Standards Manager for Schneider Electric. Over the course of my career, the Wiring Regulations have changed considerably. They have become less about telling people what to do and are more clearly based on reasoning. Although this gives more flexibility to designers and installers as to how they should do things, it also demands more effort and ability from electricians to interpret and apply the requirements. I’m very familiar with the feeling of opening a new edition of the Wiring Regulations and the challenges of using it. However, it’s essential that you keep abreast of the changes to the Regulations as when you’re working on an installation you have to recognise situations where specific regulations apply. You need to know where to find what you’re looking for in the book and understand the implications of what you read. You also need to know when to ask for help. How should electricians overcome these challenges? Personal study of the Wiring Regulations is necessary, but may not be enough on its own. Other things you can do to improve your understanding are to attend training sessions and discuss the Regulations with more experienced colleagues. 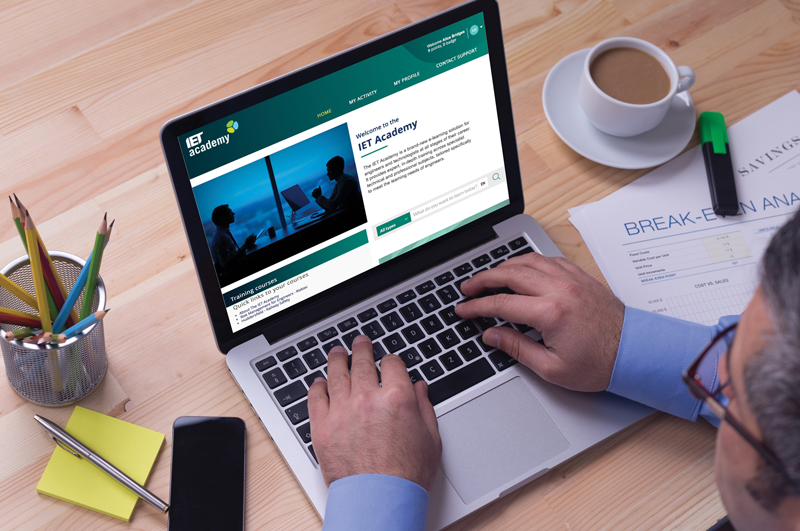 The Institution of Engineering and Technology (IET), the publisher of the Wiring Regulations, also provides guidance materials, events and training to help electricians and engineers familiarise themselves with the latest edition. Ever since the 15th edition, each version of the Wiring Regulations has been more complex than the previous editions. It’s important that electricians and engineers take all the help on offer in order to get to grips with the latest edition.